The recent shuffle within the Saudi government can be characterized as symbolic intended to demonstrate that the Crown Prince is taking steps to improve the performance of the Kingdom. This move is only the most recent in a long line of prior reorganizations, a frequent internal strategy used by Mohammed bin Salman (MBS) to ensure that no figure possesses deeply rooted influence that might eventually challenge his power. Distinguishing this reshuffle from previous changes is the Khashoggi affair, which has brought international scrutiny to the Crown Prince and officials closest him. One of the intended political messages of the reshuffle is to show that MBS is taking concrete steps to ensure that the Khashoggi incident is not repeated. While the changes include leadership of important ministries, the actual impact of the overhaul should not be overestimated. Although some commentators have viewed the latest changes as an effort to further consolidate power, the Crown Prince’s previous success at securing his reign makes any additional efforts redundant. The recent changes are primarily meant to secure public confidence in the aftermath of international scandal. 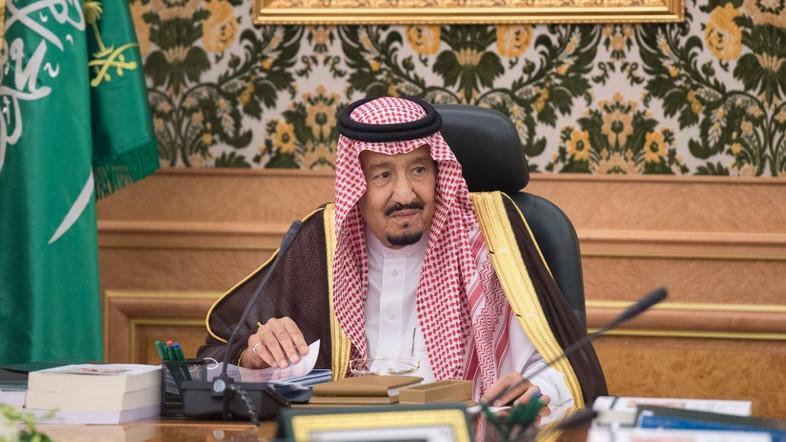 Different from the usual early-morning timing of announcements of this nature, the Saudi King’s royal decrees aired on a Thursday afternoon Saudi local time. 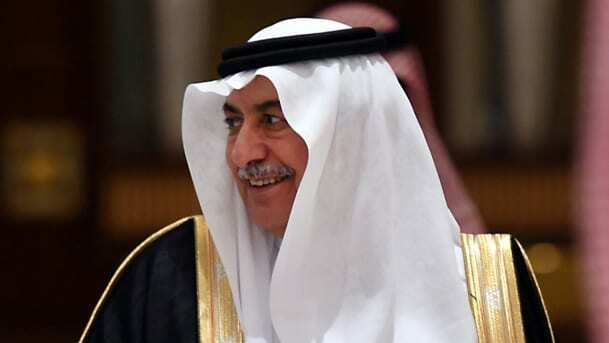 The decrees included around 40 royal decrees outlining the government reshuffle in addition to new appointments and the creation of new entities. A notable change is the replacement of Foreign Minister Adel Al-Jubeir by Ibrahim al-Assaf. The latter served as the Minister of Finance for about 10 years and notably was among those arrested and detained in the Ritz Carlton in November 2017 on corruption charges. Subsequently, Al-Jubeir was reassigned to State Minister for Foreign Affairs, a change that may be an attempt to signal a possible softening of Saudi adventurism, particularly in Syria and Yemen. Within the Royal Family itself, Prince Mohammed bin Nawaf bin Abdul Aziz was demoted from his position as Ambassador to the United Kingdom (a position he held since 2005) to an advisor to the Royal Court. It is worth mentioning that Prince Mohammed bin Nawaf appeared in a viral video last September alongside Prince Ahmed bin Abdul Aziz who was compelling protestors in London to parse their blame for the region’s issues to the King and the Crown Prince, as opposed to the entirety of the al-Saud family. Prince Ahmed was perceived by many as a competitor to MBS after the world condemnation of the Khashoggi murder. Once he received guarantees for his safety from both the US and UK, he returned to Saudi Arabia at the end of October after years of self-imposed exile. The cordial relationship between Prince Ahmed, who might still be a challenge to MBS, and the former Ambassador, Prince Mohammed bin Nawaf may be one reason for his demotion. Not limited to federal positions, the Emir of Asir Province was replaced by the King’s recently bereaved nephew Prince Turki bin Talal bin Abdul Aziz, half-brother of Saudi billionaire Al-Waleed bin Talal. MBS may want to keep a relationship with the Talal branch despite the fissure that occurred upon the arrest of Prince Al-Waleed bin Talal. Sultan bin Salman (half-brother of MBS) was tapped to head the newly created Saudi Authority for Space. Such a position is fitting for Prince Sultan who was the first Arab astronaut, having taken part in a 1985 space discovery trip. On the security level, Musaid Al-Aiban was named National Security Advisor. While Al-Aiban is the son of the first head of the Saudi General Intelligence Agency, he made a name for himself helping engineer the GCC Initiative for Yemen in 2012 and a resolution to the 2014 Gulf Crisis. Harvard University-educated Al-Aiban has been a trusted advisor to the royal court since King Abdullah’s reign. Al-Aiban may play a significant role in dismantling the regional missteps surrounding the Kingdom from its adventurous foreign policy to the GCC Crisis. The lone woman amongst the new appointments is Iman Al-Mutairi, who will be the Assistant to the Minister of Trade and Investment. Al-Mutairi has a background in biochemistry and previously served as an advisor for the Minister of Trade and Investment. Aside from the Space Authority, new entities include the Court of the Council of Ministers which will include the position of General Secretariat, as well as the Bureau of Experts and a collection of entities relevant to the Council of Ministers. Beginning with his father’s ascension to the throne in 2015, MBS has been the actual architect of all Royal appointments. Culminating in the November 2017 arrest of prominent relatives, the young Prince used his father’s authority to isolate powerful princes and establish absolute-power over the country’ decision-making. Contrary to popular opinion, the recent reshuffle does not necessarily reflect any further tightening of his grip on power, as MBS has already been successful in quieting prominent competitors. With exception to Prince Mohammed bin Nawaf, each of those removed by this reshuffle were originally appointments by MBS. This reality then leaves the Khashoggi scandal as the likely motivation for the recent changes, as MBS seeks to signal that he is taking actions to correct any policies that led to what is now viewed as a large blemish on his tenure.